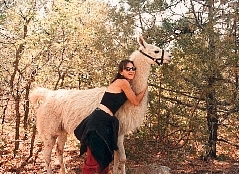 Thank you for your interest in Wild Earth Llama Adventures, Taos, New Mexico's oldest and most experienced llama trekking outfitter. Our mission is to make wilderness experiences available to people of all ages and backgrounds; and to promote conservation and stewardship of our public wild lands. We are currently celebrating our 24th incredible season of trekking and exploring the pristine wilderness areas of New Mexico with adventurous travelers from all over the world! We operate under permits issued by the Carson and Santa Fe National Forests, as well as the Taos and Albuquerque offices of the BLM. Most of our treks take place in the remote regions of the Wheeler Peak, Columbine-Hondo, Latir Peak Wilderness Areas, and Rio Grande Gorge/Wild and Scenic Rivers Recreation Area. 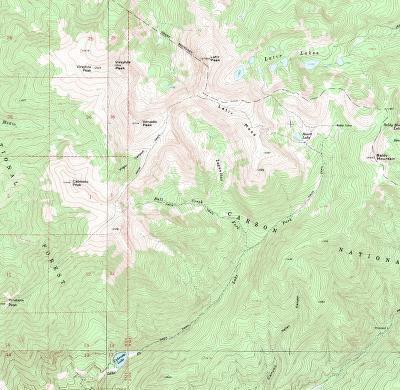 We know these areas intimately, enabling us to create custom wilderness experiences for any age or fitness level. We specifically choose trails and base camp locations that are seldom visited, to provide you with a true wilderness experience. We keep our group sizes small, in order to ensure a high quality adventure for all. Our years of experience enable us to set up comfortable, first class base camps for our guests. 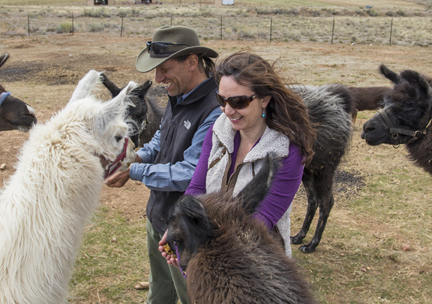 Our extensive knowledge of local ecology, natural/regional history, and wilderness living skills, makes our llama trekking adventures highly educational; and sets Wild Earth apart as the llama trekking outfitter and wilderness guide service in northern New Mexico. Wild Earth guides are trained and certified in wilderness medicine, CPR, emergency rescue and evacuation. Our level of preparedness, keen instincts, intimate understanding of local weather patterns, and pro-active attitude make our treks safe and keep our clients warm, dry, and enjoying themselves, even in the most extreme conditions. Our safety record is impeccable, and we are proud to say that we have never had a major injury in all our years as a wilderness outfitter. 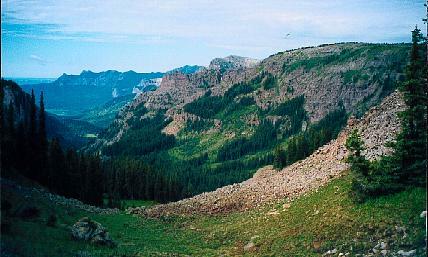 Every year, more and more people are getting out into the backcountry. While this is a positive trend, as it is a reflection of a need to reconnect with the earth, it is also creating a greater impact on wilderness and public lands in general. We are only visitors in the wilderness, and must act responsibly in order to preserve the land for its inhabitants and any future visitors. We practice least impact camping, leaving little or no trace of our presence. The wilderness is a place where we go to remind ourselves that we are a part of a much greater community. It is a symbol of that in us which is wild and free. By spending time living close to the land, with fewer distractions, we begin to feel the rhythms and cycles of the planet. It is our hope that sharing wilderness experiences with people will help foster a sense of stewardship and lead to a safer and healthier world for our children's grandchildren.